Stop wasting paper and storage space, we’ve got everything for you stored in the cloud. 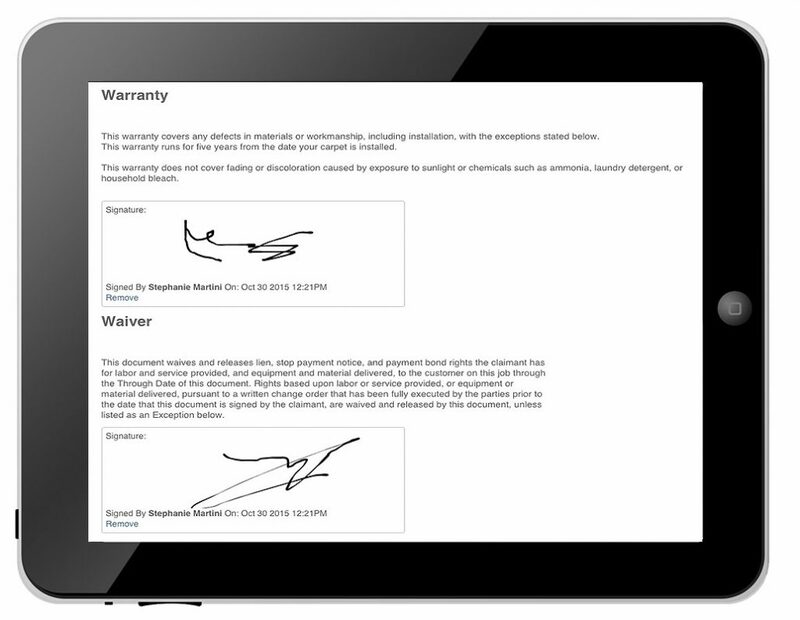 Workiz lets you collect signatures form clients using any touch enabled device. Using E-signatures is easy and mess free. simply click to add a signature on any invoice, estimate or custom document and hand it to your client. 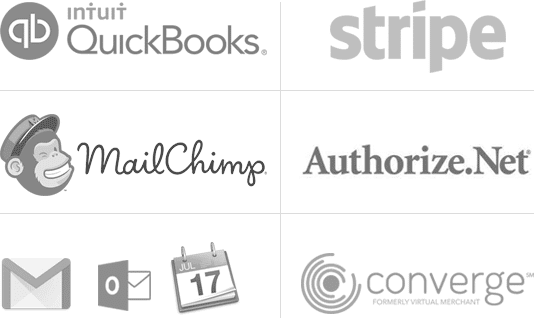 Signatures are saved right away with the clients name and timestamp for future reference. Do you need a to approve different sections of a document or job? 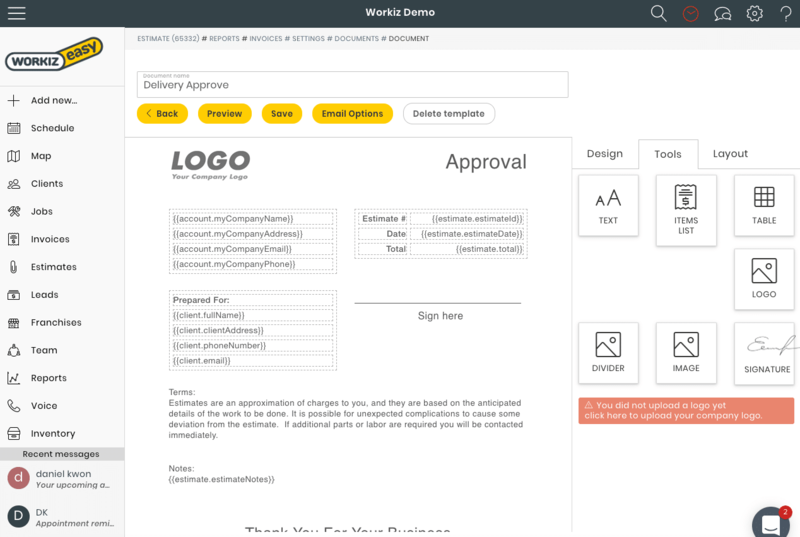 Workiz lets you design your own custom document layout and attach signatures to multiple sections. No need to sort through piles of paper anymore, Workiz makes it extremely easy to browse through your documents. 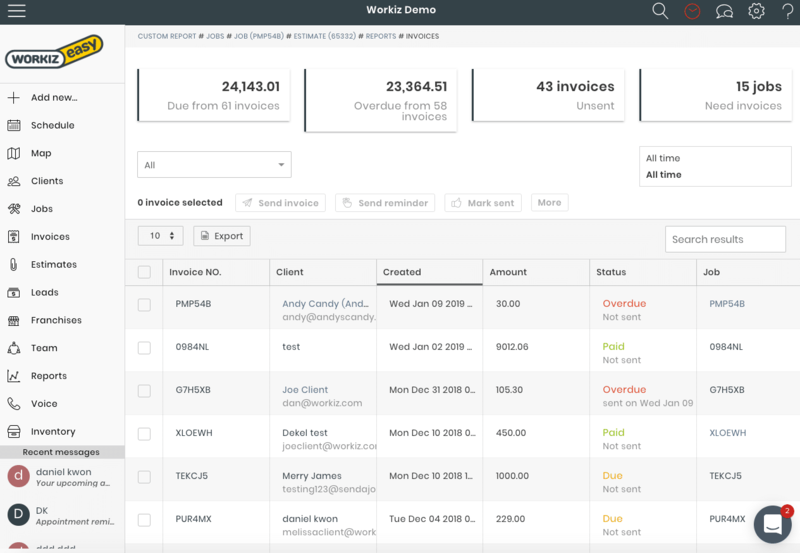 Use the report section to quickly search and find the invoice and signature you need.